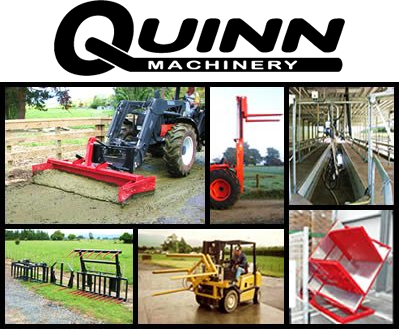 Quinn Engineering are designers, manufacturers and suppliers of Short Rise Lifts, Domestic Passenger Lifts and Tractor Mounted Forklifts throughout Australasia and the South Pacific Basin. We are situated on the outskirts of the country town of Kerepehi, on the Hauraki Plains of New Zealand. The small team at Quinn’s are all specialized in their field and offer a range of skills to complement the company focus of ‘Designing Functional Equipment’. 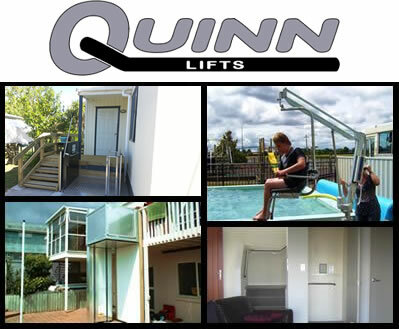 Quinn Engineering have been designing and manufacturing Short Rise Lifts and Domestic Passenger Lifts since 1989 and have successfully installed and maintained over 250 lifts throughout Australasia. Originally identified as Quinn Baleboys, the company was established by Eddie Quinn in the early 1960’s.The company name arose from the first product manufactured; namely the ‘Baleboy’, which was a hay handling machine. Quinn’s still produce variations of that machine to this day. The company has been renamed to Quinn Engineering so as to keep up with the growing range of products being produced as we move forward in the 21st century. Many of our products are driven by you, our customers. We are often asked “Could you help me make a…”. Our answer is “YES, CAN DO”. We love a challenge, we love providing solutions, one offs or new products for industry. Just ask us, we can do it!